You will be met on arrival and transferred to your chosen hotel. 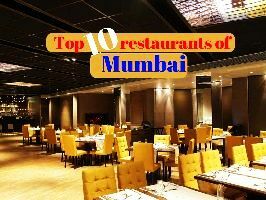 Mumbai is a spicymasala of entrepreneurs, concrete towers, clubs and discos, cricket, Bollywood, history, great cuisine, beaches and much more! 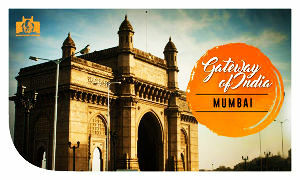 Afternoon free to catch up on jetlag or explore your surrounds, overnight in Mumbai. 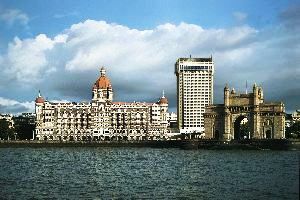 A half day's sightseeing tour of Mumbai includes The Gateway of India - a grand ceremonial arch built to commemorate the visit of King George IV; Mani Bhavan - where the father of our Nation resided for 15 years; the Marine drive; the Prince of Wales museum - considered one of the best museums in the country; the Hanging gardens and Victoria Railway Station. 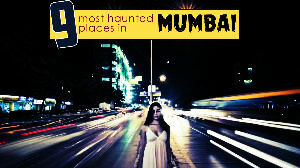 Overnight in Mumbai, we will be happy to recommend restaurants for dinner tonight. 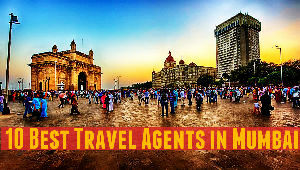 You will be transferred to Mumbai Airport in time for your flight to Goa, a masterpiece of nature and an exotic mix of Portuguese andamp; Indian flavours. You will be met and transferred to your chosen hotel and then there is time to relax and enjoy the palm fringed beaches of Goa. The day is yours to be as active of as lazy as you like. 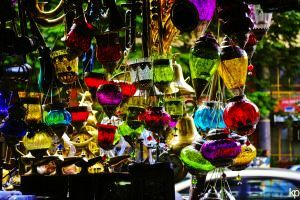 The Goan hinterland is very beautiful and you might like to explore some of the small towns and inspect the lovely, old Portuguese bungalows and churches. Goan cuisine is quite unique, be sure to try some of the seafood specialties. 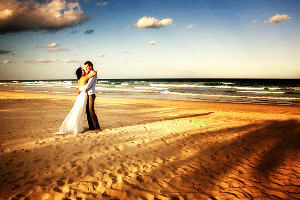 Goa holidays are a dream come true so again the day is yours to fill as you please before your last night in Goa. 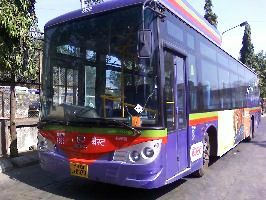 Transfer to Goa Airport for your flight to Bangalore - the Silicon Valley of India - where you will be met and transferred to your Bangalore Hotel for an overnight stay. The rest of the day is at your leisure to explore the heart of the city. A morning sightseeing tour of Bangalore reveals the Bangalore Fort, the Bull Temple and Cubbon Park - a beautiful 300 acre park that houses the public library and the museum. Continue on to Lal Bagh and the Vidhana Soudha - Bangalore's centre of State Government, before departing Bangalore for Mysore. Mysore, also known as the city of Palaces, never fails to mesmerize travellers. It's quaint charm, rich heritage, magnificent palaces, and beautifully laid-out gardens, imposing buildings, broad shady avenues and sacred temples are a pleasure in so many ways. Overnight at your selected Mysore Hotel. Spend the morning being introduced to Mysore - Mysore Palace, the Jaganmohan Palace and Chamundi Hill, where the 12th century temple of Chamundershwari sits. 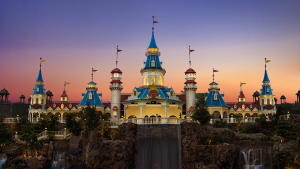 Close by are the gigantic statues of the demon Mahishasura, St. Philomena's Church and the Brindavan Gardens - with lighting and musical fountains this place transforms itself into a fairy land in the evenings. Later in the day drive Nagarhole National Park to check in at your jungle lodge for a 2 night stay. Morning and evening game drives in Nagarhole National Park - adjacent to the Kabini River, this park has all the resident wildlife of the Nilgiri area including the Royal Bengal Tiger, langur monkeys, bison, leopard, Asian elephant, wild boar, deer, dhol (wild dog) and a variety of bird life. After an early morning game ride in Nagarhole depart for Ooty, short for Ootacamund and also known as the 'Queen of Hill Stations', dotted with undulating hills, sparkling waterfalls, gurgling brooks and lush green tea gardens. After checking in to your selected Ooty Hotel for a 2 night stay, the remainder of the day is free. 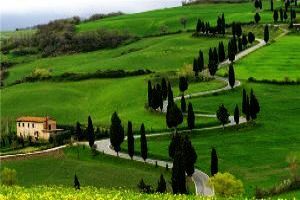 Ooty is the capital of Nilgiri district and Nilgiri means Blue Mountains. It is a land of picturesque picnic spots and at an altitude of 2,240 meters above sea level has always been a popular summer getaway. 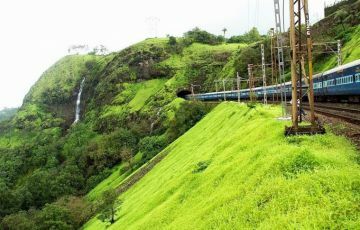 The day is at your leisure - enjoy the mountain train, visit a tea garden, head to Coonoor or hike those blue mountains! Drive to Cochin where you will be delivered to your selected Cochin hotel for a 2 night stay. Enjoy the rest of the day enjoying the hotel facilities or head out to explore the surrounds. Cochin's half day sight seeing includes Cochin Harbour where the Chinese fishing nets present a wonderful sight; Mattancherry Dutch Palace; The Jewish Synagogue and St. Francis Church (built in 1510 Vasco Da Gama was originally buried here). Later you will be collected for a Kathakali Dance Show, overnight in Cochin. Morning drive to the tranquility of Kumarakom where you will check in to your chosen retreat and then enjoy the remainder of the day discovering nature's beauty at your own pace. 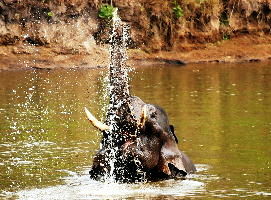 Drive to Periyar, regarded as one of the best places to see the Asian Elephants. After checking into your Periyar hotel for a 2 night stay, take a late afternoon boat ride into the Wildlife Sanctuary. In the cool of the evening as the sun sets wildlife comes to drink at the Lake's edge. Morning visit to a Spice Plantation - the area is famous for cardamom, coffee and tea plantations and you will learn a bit about the many uses of the spices, both medicinal and culinary! Overnight in Periyar. 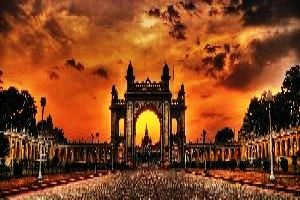 Drive to Madurai, an ancient and traditional town, dominated by the colourful and lively Meenakshi Temple whose thousand-pillared hall is crowded with exquisitely carved columns. On arrival, check in at your chosen hotel in Madurai for a 2 night stay. A morning tour of the great Meenakshi Temple -a splendid example of Dravidian architecture; the Tirumala Nayak Palace - a gracious building in the Indo saracenic style; the Alagar Hills and the Tirupara Kundran Rock temple. Overnight in Madurai. Pondicherry, a former French Colony, depicts an unusual combination of European culture and Indian traditions. After checking in to your hotel, freshen up for an afternoon of sightseeing. Visit the Sri Aurobindo Ashram - not the quiet place of retreat that you may expect. Rather Aurobindo is a vibrant centre of life in a modern urban setting and its hand made paper factory is just one of the Ashram's successful commercial enterprises. Later visit Auroville and the Pondicherry Museum. Drive to Chennai where you will spend 2 nights, the afternoon is at your leisure. Your guide will collect you for a half day sightseeing that will include the San Thome Cathederal. The cathedral is built on the site of a 16th century Portuguese basilica which is said to be the tomb of the apostle Thomas, who is reputed to have brought Christianity to India in the 1st century AD. The tour also includes St Thomas Mount, the Little Mount Shrine, the Fort St George, St Mary's Church, and the Fort Museum which has a collection of objects from the tenure of the East India Company in Chennai including letters from Robert Clive. Overnight in Chennai. You will be transferred to the International Airport in time to board your flight home.